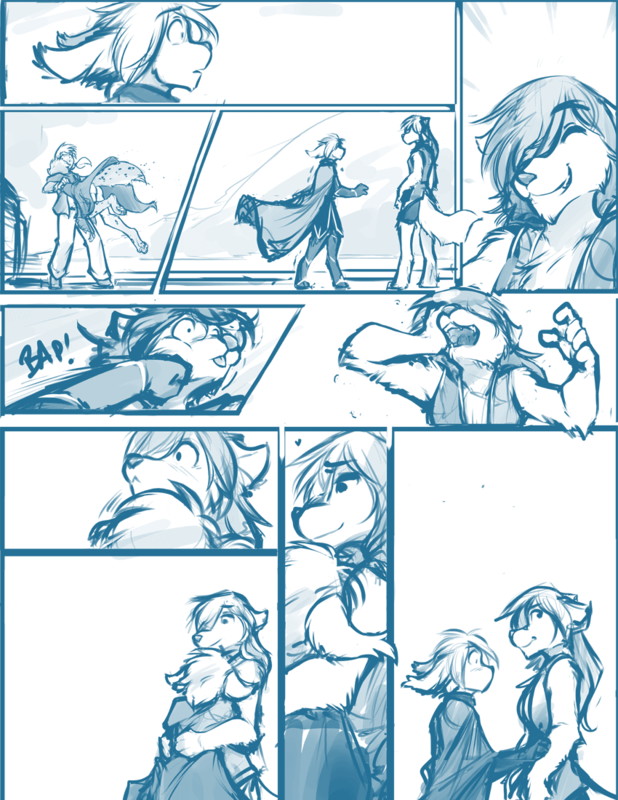 941: A Basitin 'I Love You' - Twokinds - 15 Years on the Net! Eric: Erg! Kathrin, you’re okay! Natani: (in Keidran) What’s the matter, Keith? Aren’t you happy to see me? Natani: (in Keidran) Gah! The face! Why always the face?! Natani: (in Keidran) But, you know me. I’m not one to play the damsel in distress. I missed you too, Keith. Natani: (in Keidran) Oh… yeah. There… wasn’t a lot of time. And living seemed more urgent than getting dressed. Sigh… I guess the jig is up.